Late last year Robert Kaufman Fabrics asked me to make this quilt using their Artisan Batik line of fabrics featuring their Floriculture 2 and Prisma Dyed Batiks. I was thrilled to get the opportunity. Well, the Free Pattern is available on their website. i hope you enjoy working with the line as much as i did! An easy introduction to the Machine Stitched Cathedral Window technique, Elegant Asian Fans uses the simplest element, a simple square folded diagonally. The base of each block is a foundation paper square with just thee pieces. Two folded squares are then basted on top. The curves happen during the quilting process. I love Asian prints and have quite a few. This was a perfect opportunity for me to use some of them. I just added this pattern on Crafty for those of you that like to download your own patterns. Of course you can contact me directly if you would like to buy the paper pattern. This one is for Throw Back Thursday. I came across the picture of my “Sunflowers” quilt that I made for my daughter, Sybill. It’s not a very good picture but it seems to be the only digital one I have. I think I made it around 2000. She loved Sunflowers so much that as soon as it was finished it became hers. The petals of the Sunflowers are three dimensional like I use in the Cathedral window process with four folded sides. The two inner sides of the points are rolled and stitched into curves. 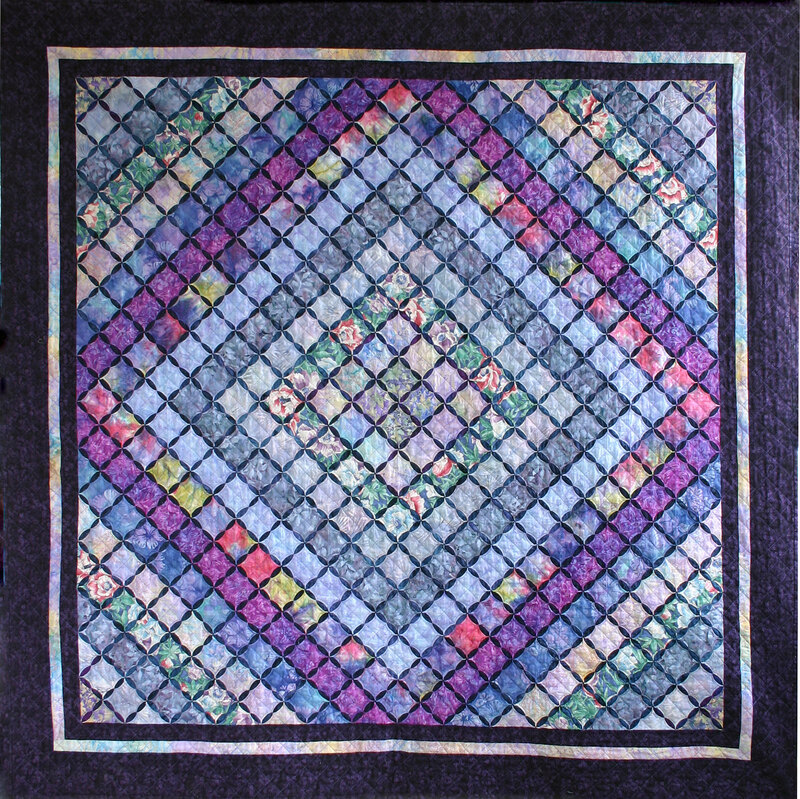 I think the blocks are 15″ each so the quilt must be around 60″ square. “Sultry Sunflowers” is the same idea but with 9″ blocks and only 8 petals as opposed to the 12 petals in “Sunflowers”. It’s probably 40″ square. I know there is cold weather out there but Spring is coming in with a vengeance here in Southern California. It’s almost 90 degrees outside. 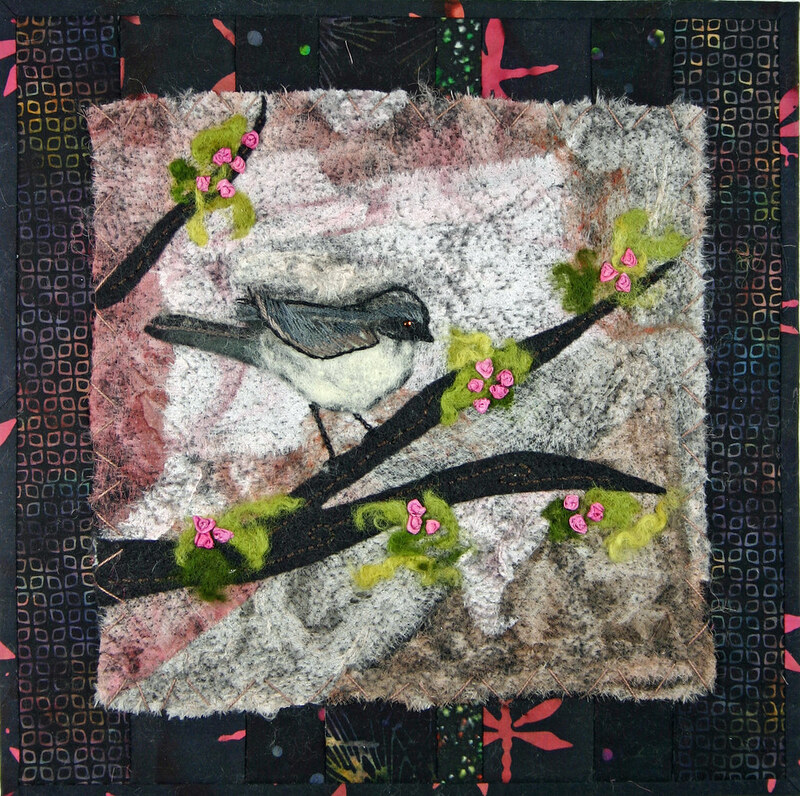 This is my newest Twilt, “Early Spring”. Techniques include Silk Ribbon Embroidery, Folded Gathered Roses. raveled linen Tiny Twilts with bits of vintage lace and a doily corner. There’s a vintage button, lots of beads and my favorite French Knot Roses. Twilts or 12 x 12s, A Lot of Fun! At the Beginning of the year I joined a group on Facebook called the 12×12’s with Cosmo & Cook. The idea was that they would give us a word and we would use that word to make a 12 x 12 quilt. Anyone who follows my blog knows ….. that’s a Twilt. Here are my contributions for January, February and March. “Delight” is January’s word and the title for my piece. I used a Crinkled fabric base with a burned edge silk heart. A bow held down with french knots was added along with a Digital definition of the word Delight from a 1908 dictionary. I finished it off with pearl cotton and silk ribbon embroidery. The tiny French Knot Roses are one of my favorite stitches. Why did I call it a Twilt? 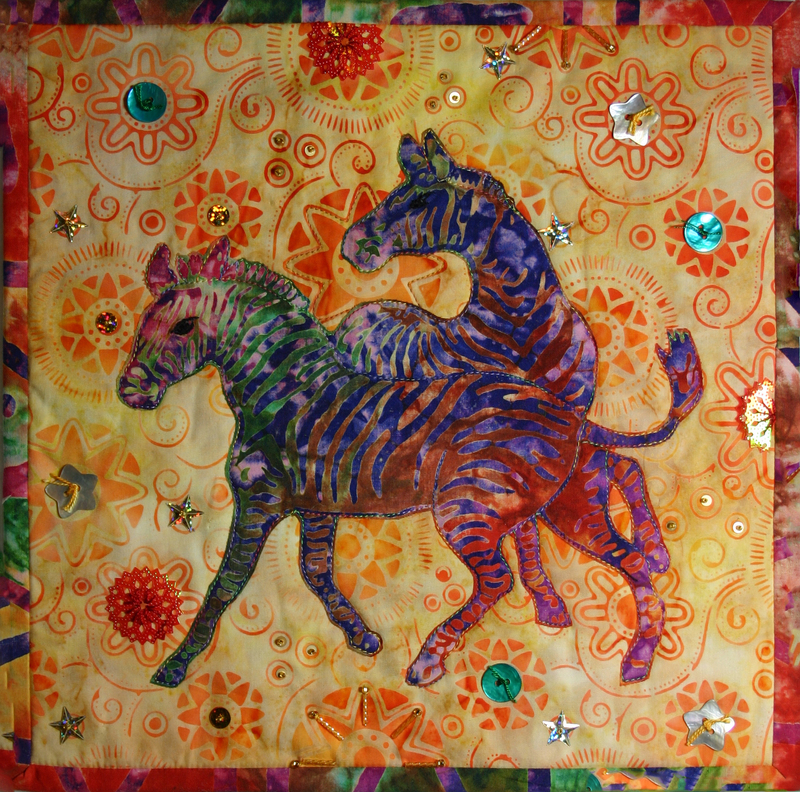 For more info on the Twilts: Twitter quilts…….Twilts or see all my Twilts :Flickr Twilts Page. Click on the image of the Twilt to go directly to it’s high resolution image. 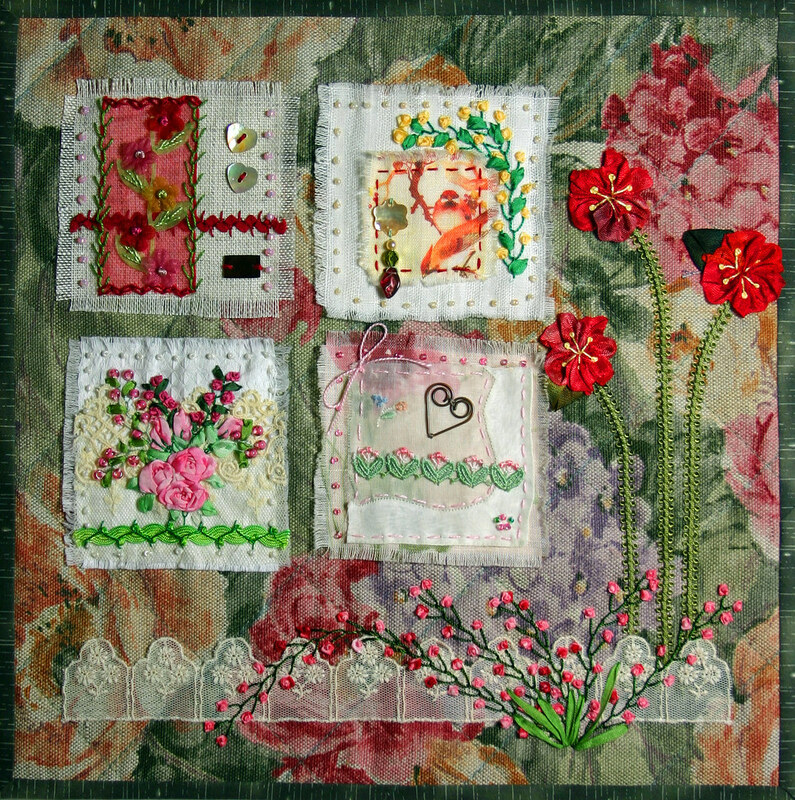 “Enchanted Garden” was made around 2000 in the style of the quilts in my first book, “Machine Stitched Cathedral Windows”. It used the templates in the book but the layout is different. It belongs to my daughter, Valerie, so it doesn’t go to lectures. I came across a rare photo of this quilt and wanted to share it. Click on the quilt and it will take you to the hi-resolution version. It has always been one of my favorites. I have started to put my patterns on http://www.Craftsy.com . Berries Jubilee, Romantic Reflection, Parchment & Black Lacquer and Sparkling Stars are now available for purchase and download as PDFs at my Craftsy store. 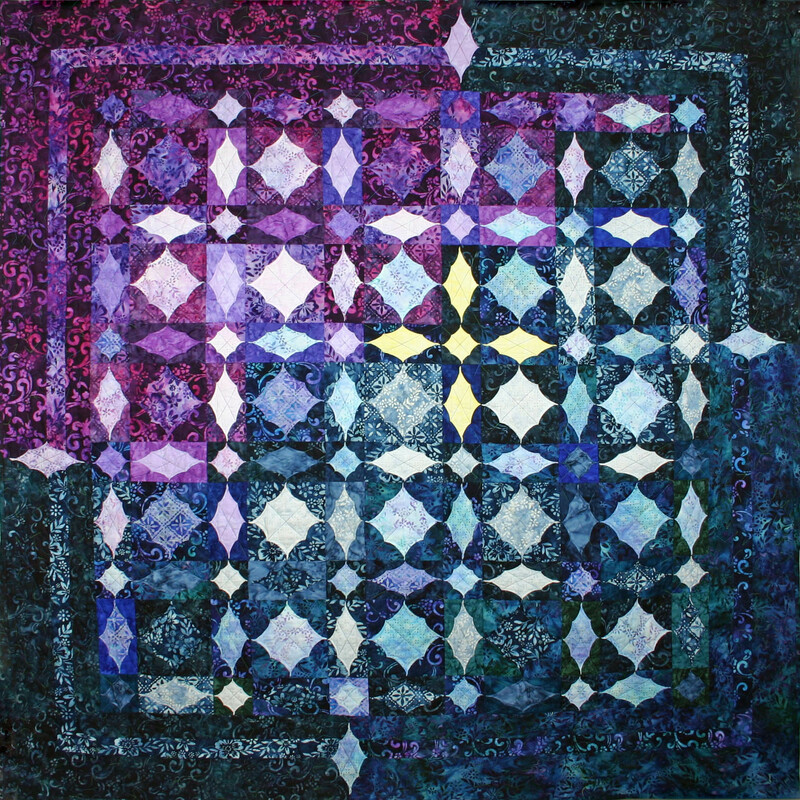 I appreciate all the support I have had through the years for my technique and hopefully this will make the technique available to more quilters all over the world. I will be adding more patterns as time goes on so if you have a favorite you’re waiting for just let me know. Woo Hoo!! I just finished this quilt on consignment. I think it looks pretty nice. I used my pattern, Layers of Lavender. It’s a variation of the traditional Cathedral Window in that it is stitched with a diagonal grid and where there would be a singe curve there are two curves. That forms a chain design between the windows. It took 100 hours to make and will be sent off to it’s new owner next week.